Picture this. You’re in the shoe department of Nordstrom’s on Black Friday and, in most people’s books, it’s pretty frenetic. Not that there are shoes flying everywhere or anything like that. I mean this is *Nordstrom’s* where a live pianist replaces the drone of the mood-altering Musak and shoes range in price from “ok I can do that” to “maybe not, I’d still like to eat this year”. And everything considered you gotta know that they’ve done this before because things go like clockwork. I mean you nonchalantly pick up a shoe and before you know it there’s someone with a loud speaker summoning help on your behalf. Almost instantaneously they provide you with not only the “E.T.A.” but just about all of the information you need to become good friends with your “shoe consultant” (their term not mine) which, in my case of course, might just happen. All in all, given the circumstances, it’s not a half-bad experience and, as my Mother would say, worse things could happen to you. This however, is apparently a sentiment not shared by the woman I unfortunately came to know when paying for my purchases. I should make something clear. The shoe consultants at Nordstrom’s all work on commission which explains the great service you get and the fact that you are bound to walk out with more than you had planned. But who can’t use an extra pair or two of Tom’s especially when the design is exclusive to Nordstrom’s so there is no way you are going to pick them up once you are north of the 49th and anyway, you’ve just bought yet another few pairs of shoes for children in need. (Note: excessive shoe purchase justified.) And for the most part, they are nice people just like you and me who simply want to do the best job they can even on days like Black Friday. Which is why I found the “woman from New York City”(WFNYC), as I have now come to know her, particularly heinous. Shoe Consultant: Let me ring this up for you. Was there someone helping you today? WFNYC: I’m from New York! I’m not used to this! Everyone is so slow here! WFNYC: I can’t believe how slow they are here! I’m from New York! This would never happen in New York! WFNYC: It’s so slow here! WTF!!!! I’m not used to this!!!! Well as you can see this was a rather one sided conversation but more importantly, and what should be noted, was that the WFNYC was not only speaking like this to those of us who had the misfortune of being able to hear her but also to whoever it was that she was simultaneously talking to on her phone which solidified for me just how busy a person she really was. And how a delay of even a few seconds was eating into her otherwise “chock full of important things to do” day. But wait. Isn’t this Black Friday? Is this not a holiday in the U.S. of A? Are not all of the businesses, other than retail closed on this day? And didn’t she mention once or twice that she was from New York? Would it be reasonable then to assume that she was not on her lunch break from work where, if she was a minute late to return would risk being fired on the spot? So where exactly was she going? Now I can’t say this for sure but given the day and the circumstances I’m thinking she was going to do more shopping. Which leaves me to wonder why it was that she couldn’t take a second or two to let the cashier know who had helped her buy her multiple pairs of boots and shoes so that sales person could be appropriately rewarded for their time. 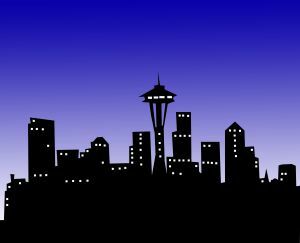 Because it seems to me that if you are sleeping in Seattle you should at least take the time to be decent to the people who live and work there. And then a rather frightening thought occurred to me. For one split second I realized that I may just have met the person who is better placed to write this blog than I am. Good thing she will never have the time to do it.